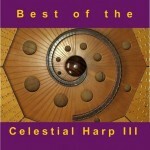 The Celestial Harp, stellar sound scapes, planetary sound scapes. 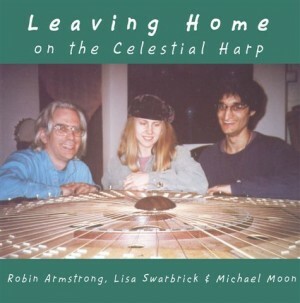 It is difficult to imagine that so many different sounds can come from just one instrument being played at one time! Robin plays Jupiter in Capricorn. Robin plays Pluto conjunct Venus at 0° Sagittarius in the Hexagram of Enthusiasm. Michael plays Uranus at 0° Aquarius, and Neptune at 25° Capricorn. Lisa stands at the Edge of Milky Way. Michael & Robin cannot resist her heavenly charms. 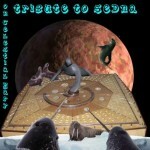 Robin plays the Galactic Centre and the Solar Apex. Lisa plays the Edge of the Milky Way. 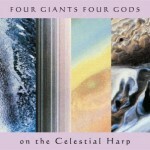 Michael plays the Super Galactic Centre and the Galactic Clusters. Recorded, mixed & mastered by Robin Armstrong. 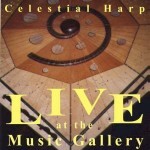 © 1996 Celestial Harp Band, Box 5265, Stn. A, Toronto, Ont. M5W 1N5.